What Makes 2019 Honda HR-V Cargo Space Feel Game-Changing? What Makes 2019 Honda HR-V Cargo SpaceFeel Game-Changing? We’re happy to challenge any driver familiar with standard subcompact crossover SUVs not to feel impressed by 2019 Honda HR-V cargo space. 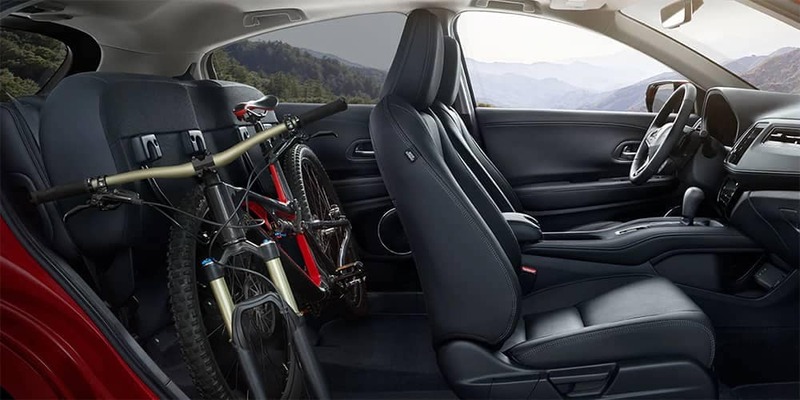 A cut above and a step beyond what you’d expect from rival models, the Honda HR-V matches cavernous space with flexible cabin configurations that fit around your changing lifestyle. When you need a crossover boasting fuel-efficient performance and agile driving dynamics without sacrificing the practicality of a larger SUV, the Honda HR-V is downright impossible to ignore. Toyota C-HR: Up to 19 cubic feet behind the 2nd row or 36.4 cubic behind the 1st. Jeep Renegade: Up to 18.5 cubic feet behind the 2nd row or 50.8 cubic behind the 1st. Mazda CX-3: Up to 12.4 cubic feet behind the 2nd row or 44.5 cubic behind the 1st. Ford EcoSport: Up to 20.9 cubic feet behind the 2nd row or 50 cubic behind the 1st. Whether you need to throw in the kid’s stuff during the morning run to school or pack in luggage for a family vacation, the Honda HR-V simply takes more. The cargo area even features handy tie-down anchors to help secure larger items and an inbuilt light to help with organization and ensure smaller items never go astray. Utility Mode: Fold down the entire rear row to make full use of available cargo space and fit larger, bulkier items. 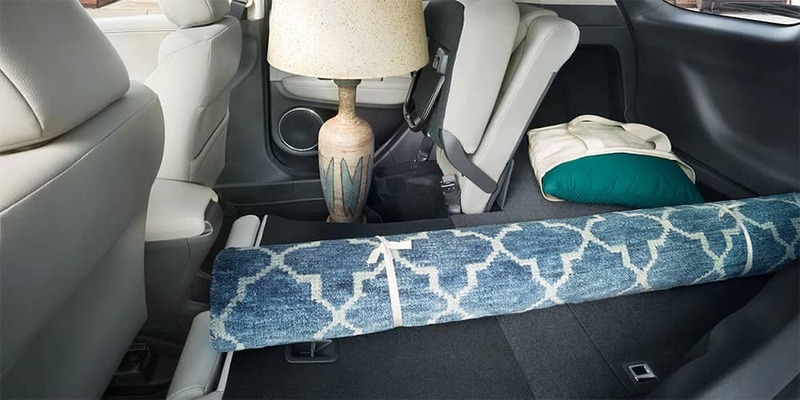 Tall Mode: Drop one of the rear seat cushions to stand items upright in close to 4 feet of vertical space. 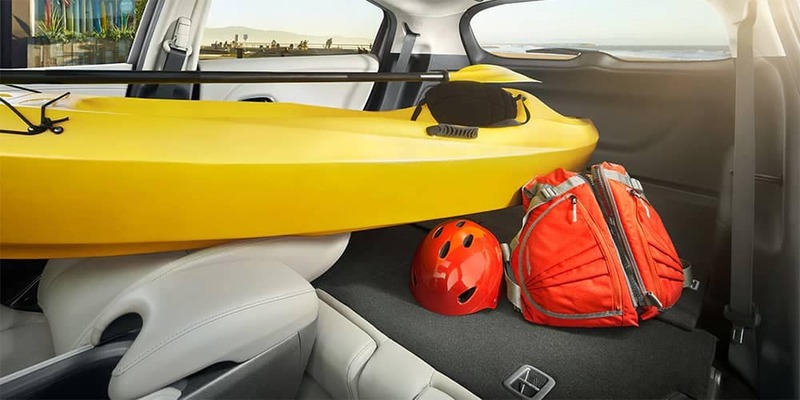 Long Mode: Fold the 2nd row and front-passenger seat to slide items up to 8 feet long across the entire cabin. Cargo Liner: Protect the cargo area floor and sides, plus the backs of rear row seats, from everyday wear and tear. Cargo Net: Hang the elastic cord Cargo Net across the cargo area to keep shopping bags upright and loose items secure. Cargo Organizer: Partitions separate and secure your cargo. Made from sturdy canvas, the Cargo Organizer folds down easily when not in use. 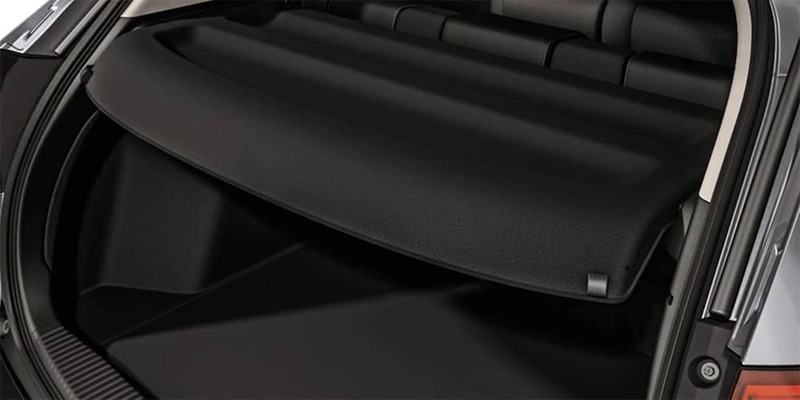 Cargo Tray: Protect the rear storage area floor from spills by laying down the high-quality molded plastic Cargo Tray. Perfect for dealing with muddy shoes and outdoor equipment, it can be cleaned down easily with soapy water. Hard Cargo Cover: Keeps items in the rear from prying eyes and protects them from harmful UV rays. Rear Seat Back Protector: High-quality molded plastic protects the back of rear seats when they’re folded down and used to hold cargo. 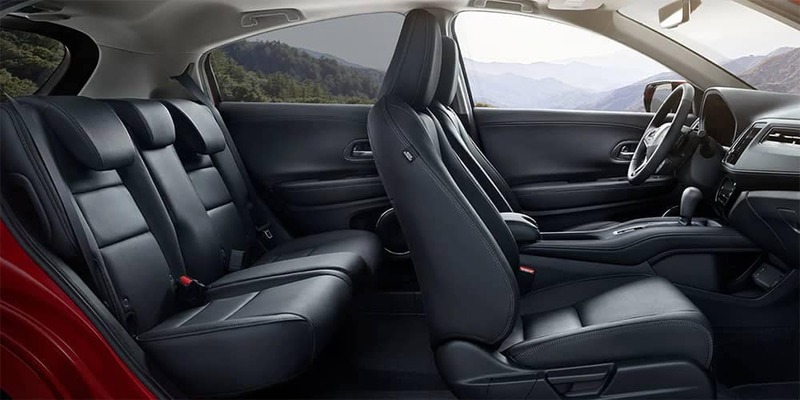 Rear Seat Covers: Avoid food spills, muddy clothes, and more from marring your back seats using easily removable machine-washable covers. Cargo Cover: Keeps items safe from view and out of the sun. Soft fabric construction makes it easy to twist and fold for convenient storage. Roof Basket: The low-profile basket holds up to 150 lbs. while optimizing wind flow. Short Roof Box: Boasts a 110 lbs. maximum-load capacity and provides up to 13 cubic feet of lockable storage space. Ski/Snowboard Attachment: The winter sports attachment holds six pairs of skis or four snowboards. You’ll find the latest Honda HR-V available alongside all Honda AWD vehicles at your local West Michigan dealership. Whether you want to talk through special offers or check out the Honda HR-V seating capacity, don’t hesitate to contact us directly.